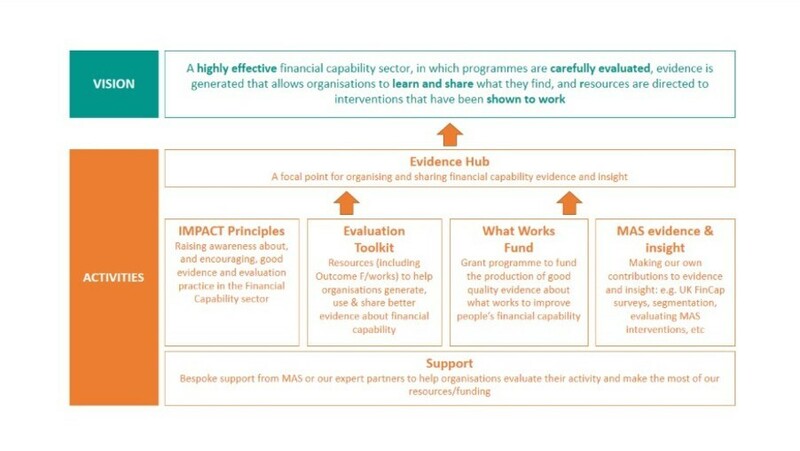 The success of The Strategy will depend upon insight and evaluation to generate robust evidence about people’s needs and how to address them, which can be used to design, refine and inform financial capability interventions. financial capability policies, programmes and interventions are carefully and consistently evaluated. sharing evidence via an Evidence Hubopens in new window, and supporting organisations to use that evidence to inform their activity. helping the sector to make the best use of our growing evidence base, by facilitating debate and discussion about the knowledge we find.